As part of the staff training program for the current academic year, the Libraries conducted a training-workshop entitled “Gearing Up for Lifelong Learning: A Training for Trainors” last January 10, 2014 at the EDC Multipurpose Hall, 13th floor of the Henry Sy, Sr. Hall. 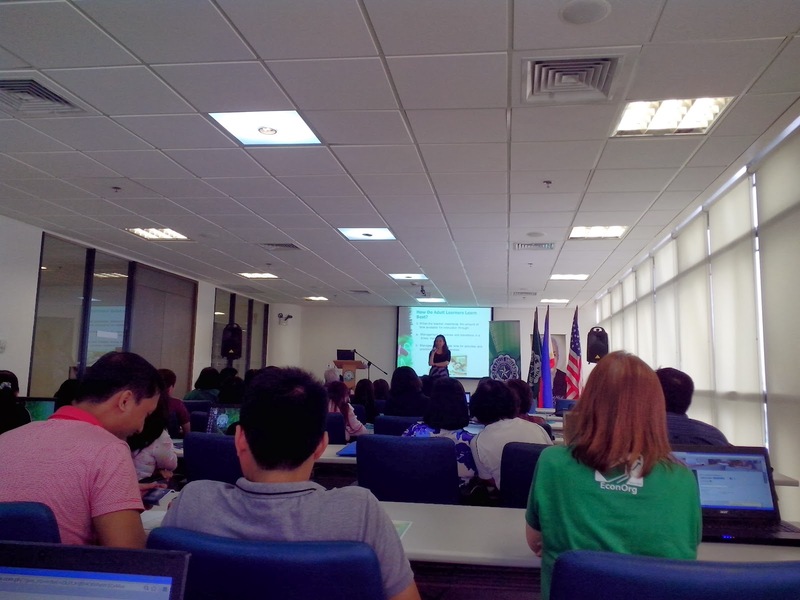 Participants were librarians from the De La Salle Philippines (DLSP) schools. Dr. Rochelle Irene G. Lucas, Vice Dean of Br. Andrew Gonzalez College of Education, was invited as guest speaker to talk about “Librarians as Teachers: Learning the Basics”. She discussed topics on effective classroom management, characteristics of adult learners and how they learn best, and teaching methods and strategies that can be used to engage them more in the learning process. Using their laptops and handheld devices, the participants were trained on mastering selected electronic databases the Libraries is subscribed to. Representatives from EBSCO Discovery Service, ProQuest, Gale, OECD Library, LexisNexis, Ebrary, and Turnitin presented the features of the databases and provided a tutorial on how to efficiently use their functionalities. The specific objectives of this training-workshop are as follows: (1) To enable librarians to effectively handle information literacy classes/sessions using practical classroom and behavior management approach, including the development of learning tools, pertinent to the scope of learning identified in the Information Literacy Program (ILP) of the participating libraries; (2) To acquaint librarians with the special features and navigation of selected electronic databases, hence, equipping them with the necessary skills in teaching such useful search strategies to their constituent learners. Roving reference (aka Roving Information Assistant (RIA)), a new service of the DLSU Libraries was launched on 25 November 2013 to allow library staff engage further with patrons, expand information assistance and create a higher level of customer service in reference transactions. This service gives the librarians a more visible presence in the library as RIA roams throughout the 6/F through 10/F of the Learning Commons during the busiest months of each term to offer assistance to library patrons who may be reluctant to ask for help at the Information Desk or Information-Reference counter. Fill out the form and click on “Schedule Appt.” to send request. The notice of approval will be sent to the patron’s MLS email account after a short while. Roving reference service is limited to helping patrons find answers to research questions, bibliographic and technology instruction, and reader’s advisory. As such, RIA will not accommodate requests on the following: (a) computer configuration, maintenance, and troubleshooting; (b) provision of investment, legal, or medical advice; (c) tutoring or homework help; and, (d) job interview preparation. 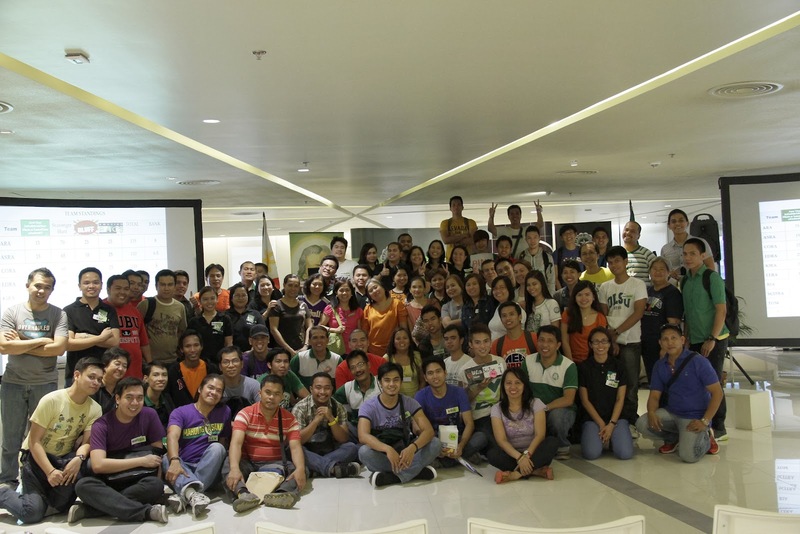 The year 2014 started off with a bang for the DLSU Libraries family as it welcomed the new term with a day of insightful and fun-filled seminar-workshop last January 3, 2014. Dubbed as “You and Your Library: Becoming a Learner for Learners”, the staff training also served as a general assembly of all the librarians and staff from The Learning Commons and all satellite libraries. To promote group dynamics and teamwork, the participants were seated according to team color. The members in each team were determined via raffle system to enable personnel from different sections to mingle and get to know each other more. Each team represented the members of the League of Information Assistants: LORA (Green Team), TOM (Blue Team), RIA (Yellow Team), CORA (Orange Team), EDRA (Violet Team), KIRA (Pink Team), LERA (Gray Team), SCITRA (White Team), ARA (Brown Team), and ASRA (Red Team). These were the also the groupings for the activities during the afternoon session.